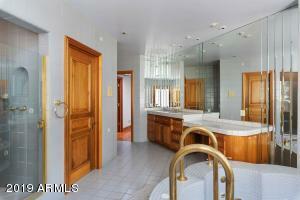 WELCOME TO CAREFREE'S ICONIC EUROPEAN VILLA. 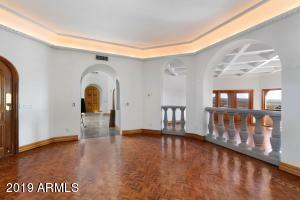 Rare European elegance and flair. 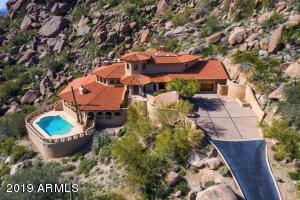 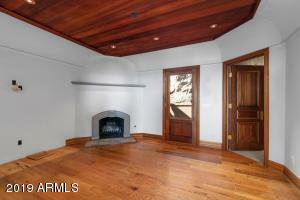 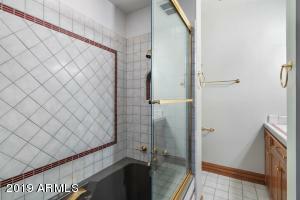 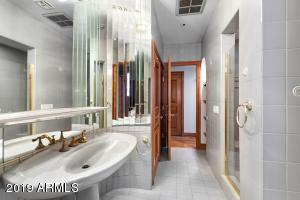 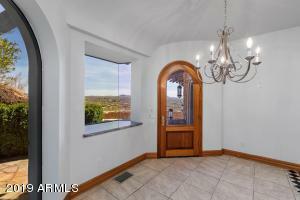 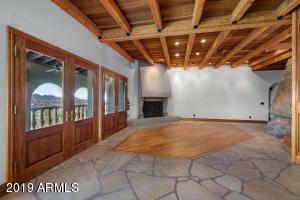 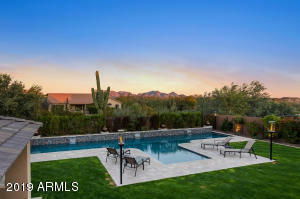 Featured in a major publication as one of the hottest homes in the Southwest! 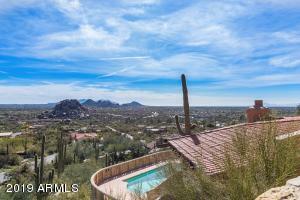 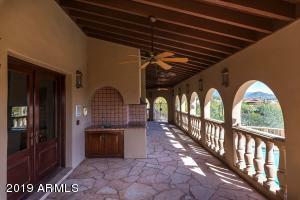 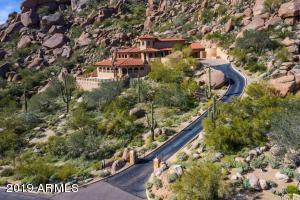 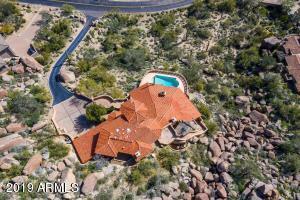 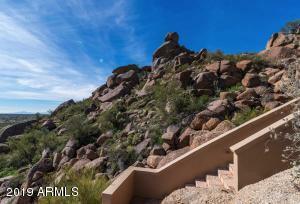 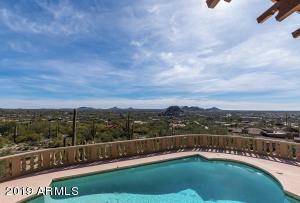 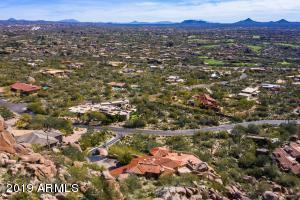 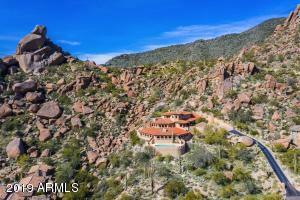 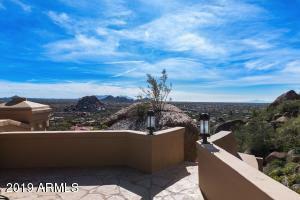 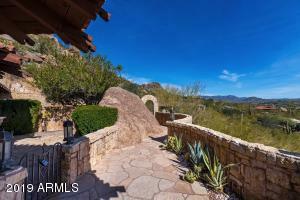 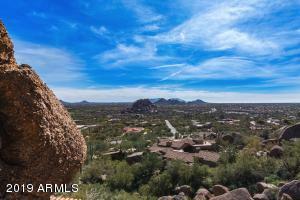 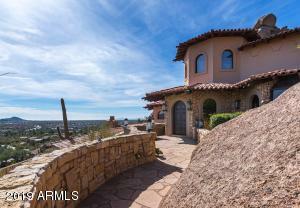 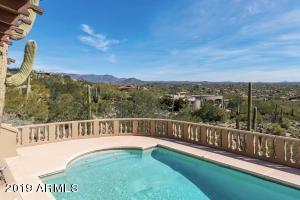 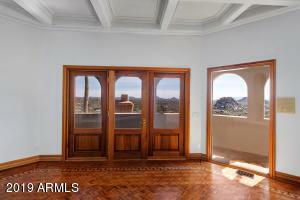 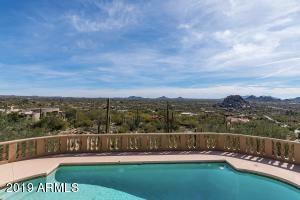 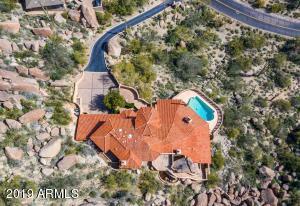 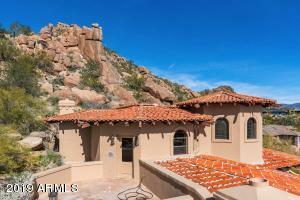 With amazing vistas, city lights and overlooking the Boulders Resort & Golf Course. 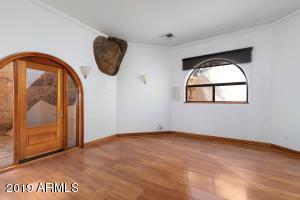 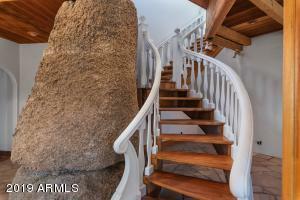 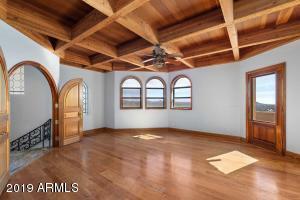 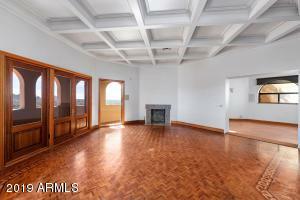 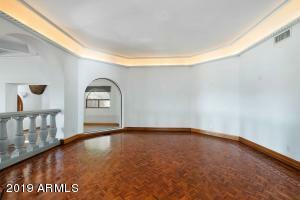 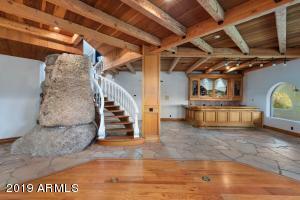 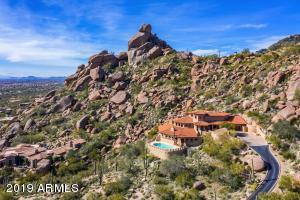 This one of a kind Carefree landmark is situated on Beautiful Blk Mtn. 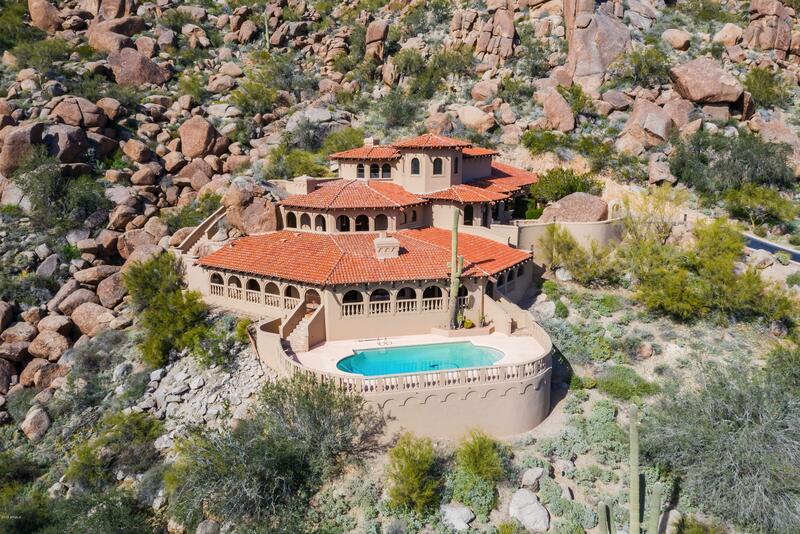 Designed & built by a well known architect Gerry Jones as a Italian Villa in the Desert! 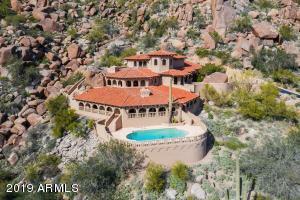 This 3 tiered privately gated home includes double elevators , intricately coffered ceilings, in laid teak floors and mahogany doors. 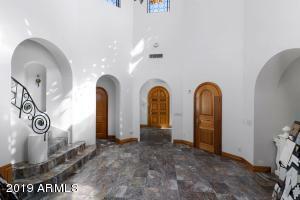 The entry boasts a soaring 25 ft dome ceiling, marble floors, living rm with fireplace , grand dining room and Gourmet kitchen with Miele appliances. 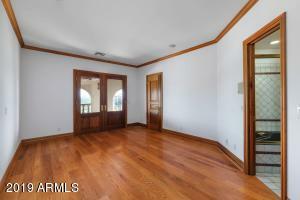 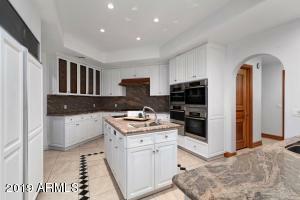 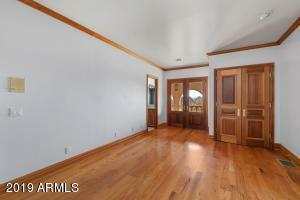 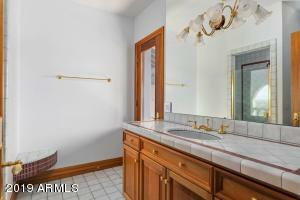 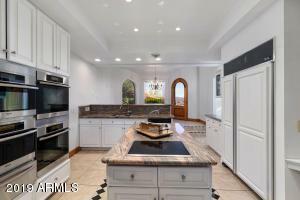 Recently painted exterior, kitchen & cabinets & more. 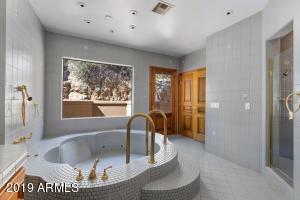 This Villa is ready to move in an create your dreams. 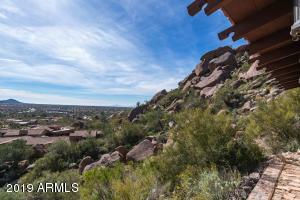 From Carefree Highway go North on Tom Darlington (Scottsdale Rd.) 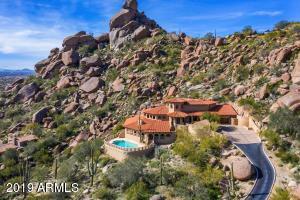 to Lanquid Lane go west (left) to Stagecoach Pass turn right to property on left.